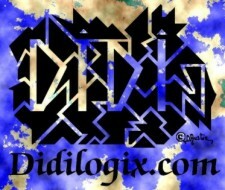 didilogix.com is no longer in business - the details below have been left here purely for information purposes. Didi Barnes is now a partner of First Base Technologies. Our marketing experience means we can help design literature, exhibition stands and marketing materials that compliment the design of the web site - or design the web site that compliments your literature! © 1998-2008 didilogix.com - All Rights Reserved.